My mom baked these cookies for me and my siblings when I was a kid. Now I make them for my family and I have to say that they are one of my kid’s favorite cookies and also my husband Mike’s favorites. I usually make a double batch of the pumpkin cookies and freeze some for a later time. They freeze very well and when the cookies thaw out they are like you just baked them. 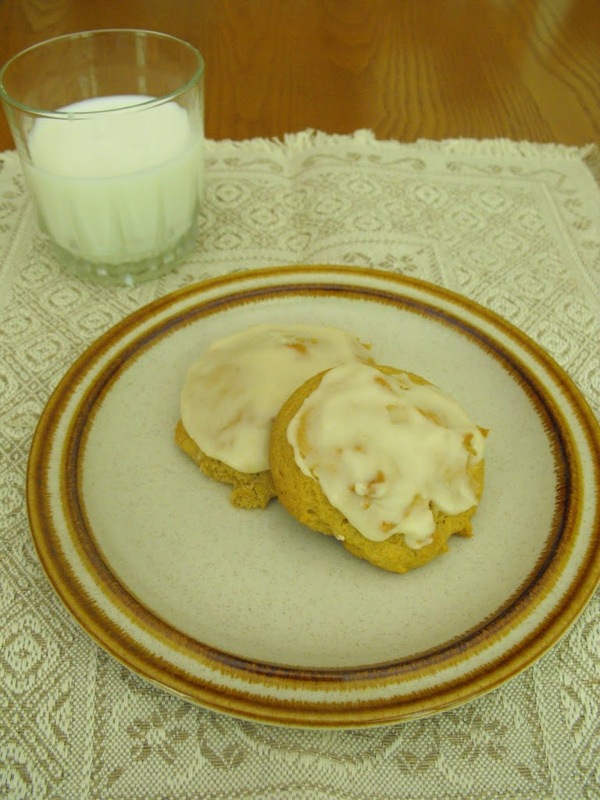 I guess when I think of pumpkin I think of Thanksgiving, but these cookies are great at any time of the year. 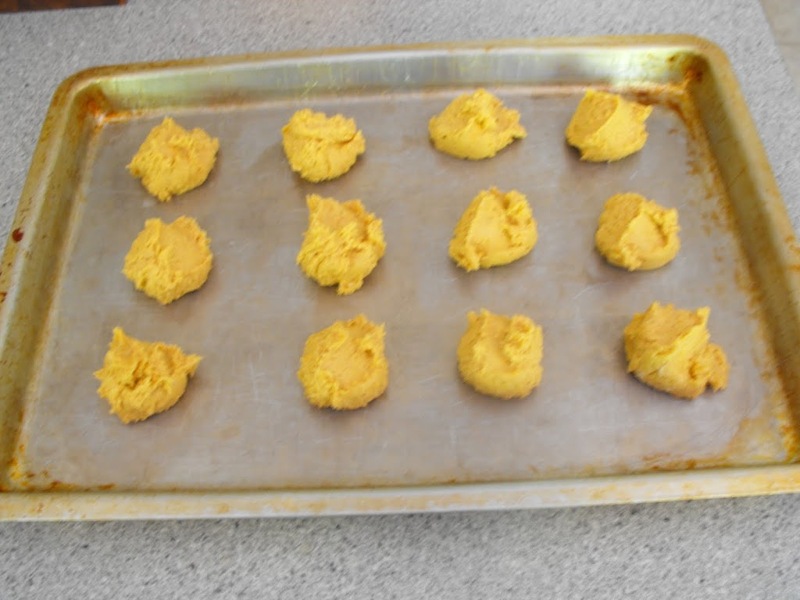 In fact when I ask my kids what kind of cookies they would like me to bake them for Christmas one of the cookies they always request are these pumpkin cookies. Bake at a 350 Degree oven for about 10 to 15 minutes. When the edge of the cookies are turning brown and the cookie themselves are a golden brown they are ready to take out. Let them set on the cookie sheet a couple of minutes to let them cool. Add this to the pumpkin mixture and blend together. Drop by spoonful on a greased cookie sheet. Usually, when I start baking the cookies I will make the frosting so that as the cookies come out of the oven and cool I can frost them right away. Combine the ingredients in a saucepan and bring to boil, let boil a few minutes stirring occasionally. Cool and add enough powder sugar to make the right consistency to spread. If the frosting gets a little thick and is hard to spread add a little milk and beat.